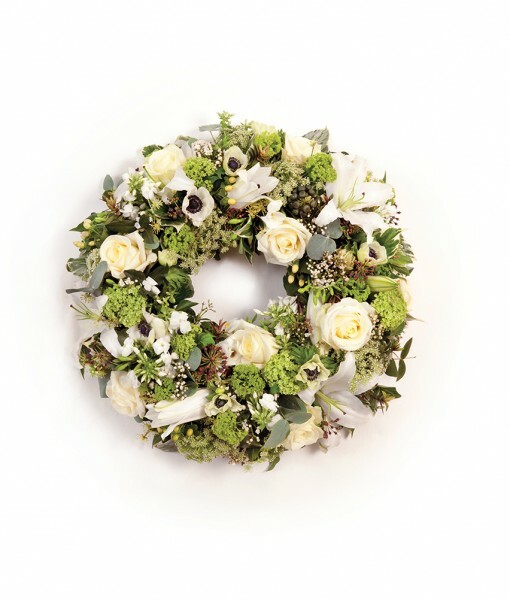 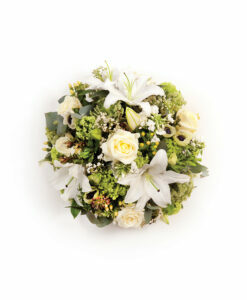 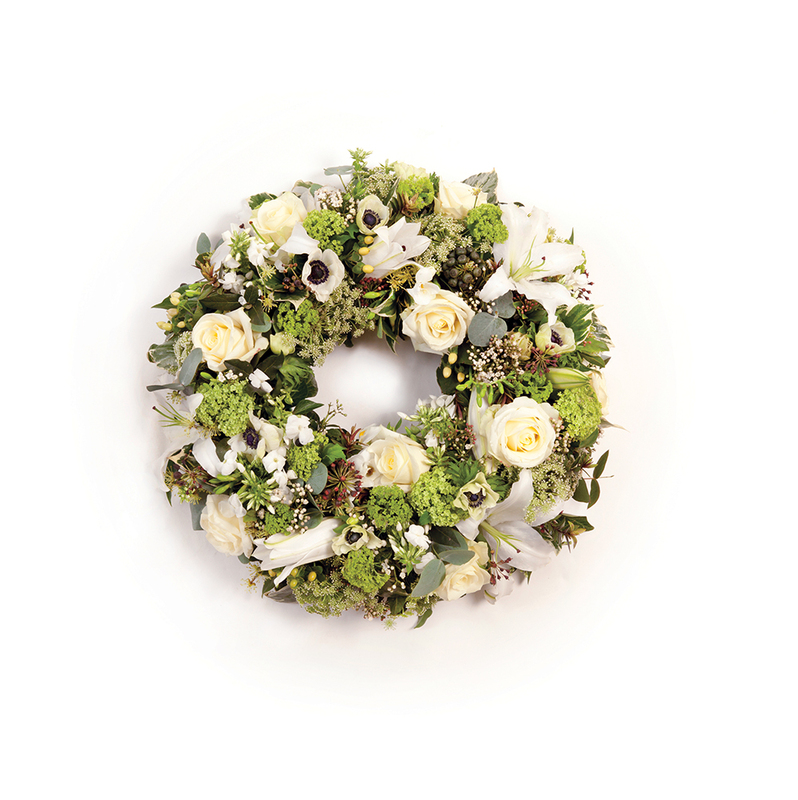 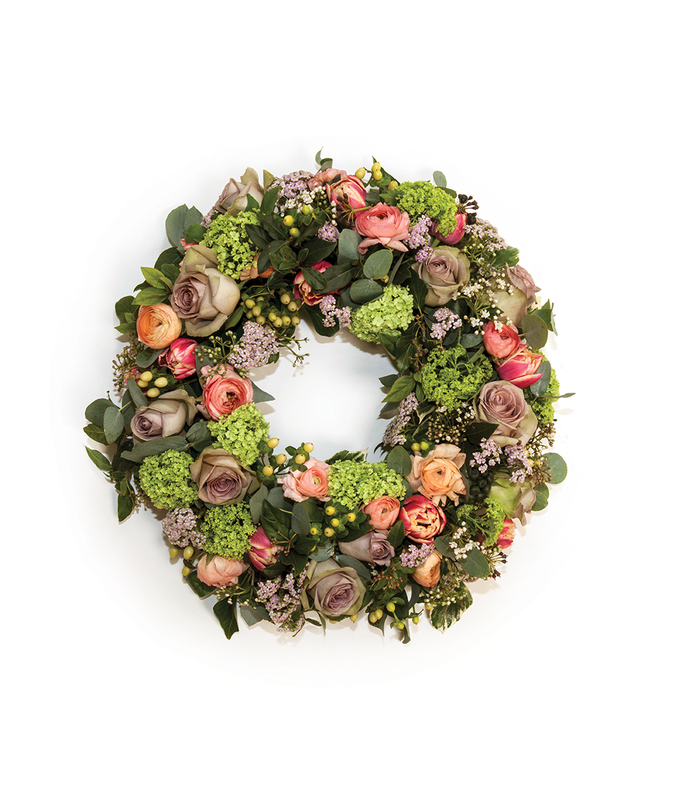 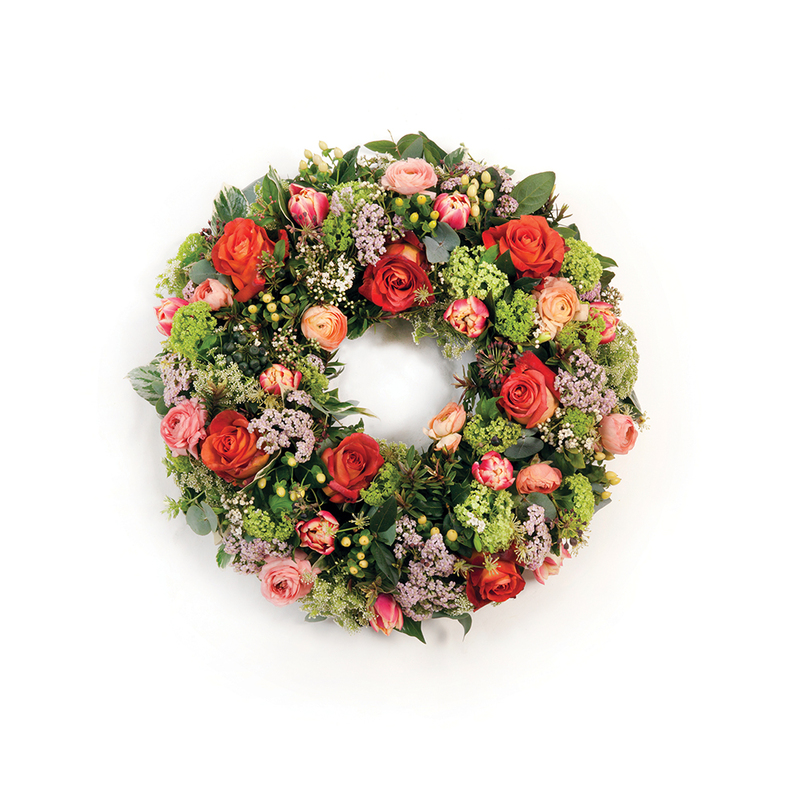 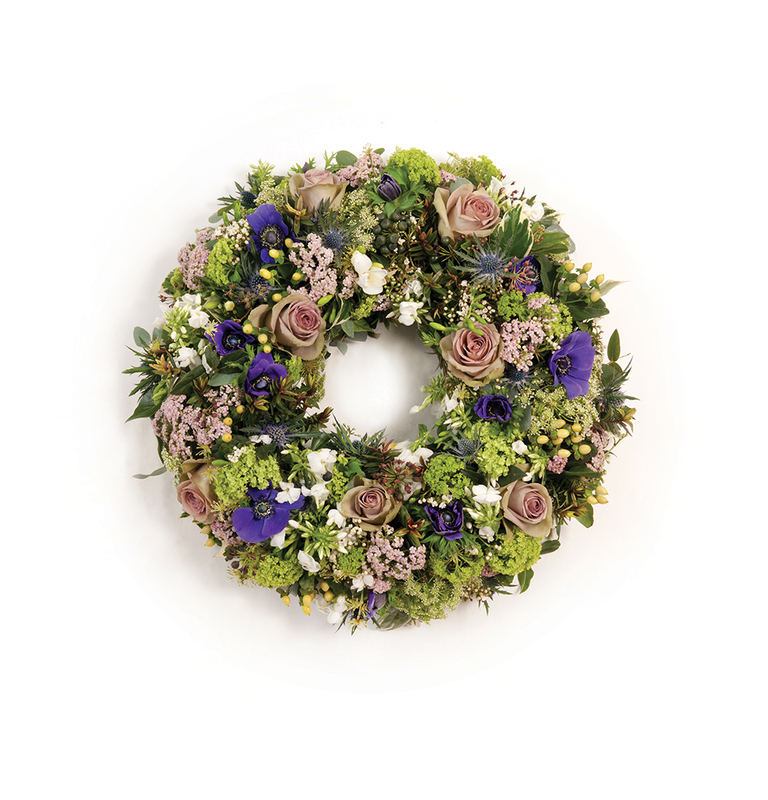 The classic round wreath can be used as the main floral tribute on top of the casket or can be an additional floral tribute. 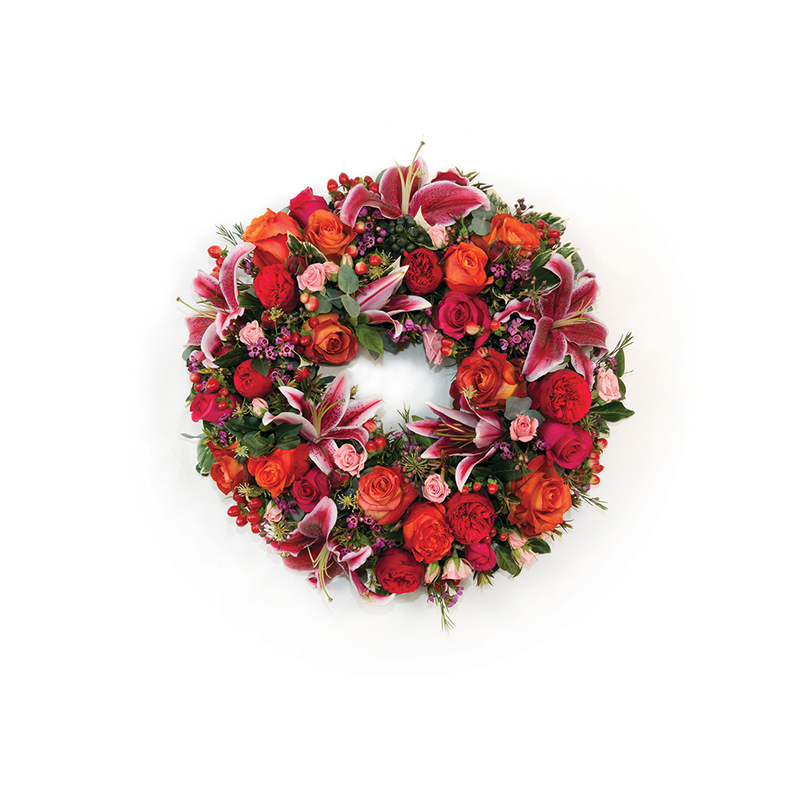 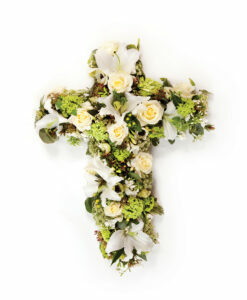 Wreaths are a popular choice for memorial services and anniversaries. 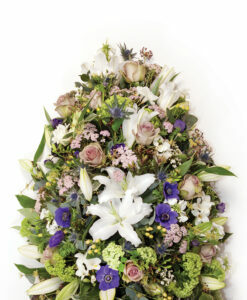 A biodegradable base or a stand is available on request at an extra charge. 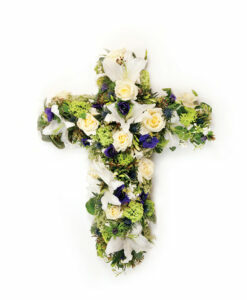 Size: small 38cm, medium 44cm, large 50cm, extra large 60cm. 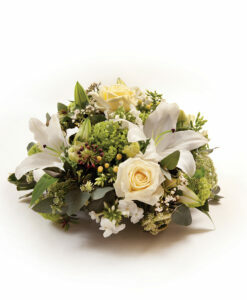 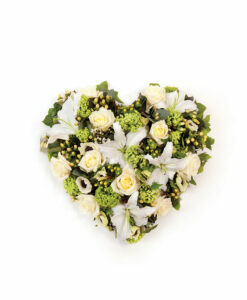 The flowers used for these photographs are only examples of what we do. 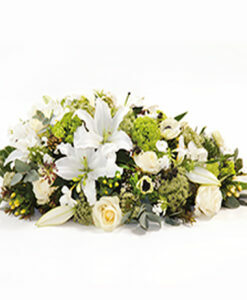 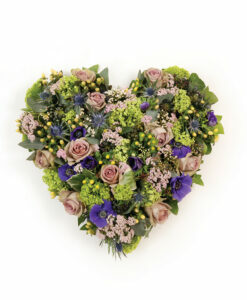 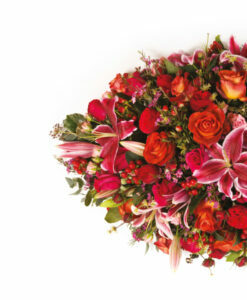 We would like you to have your say in which flowers you would like us to use as a personal and one of a kind tribute to your loved one. 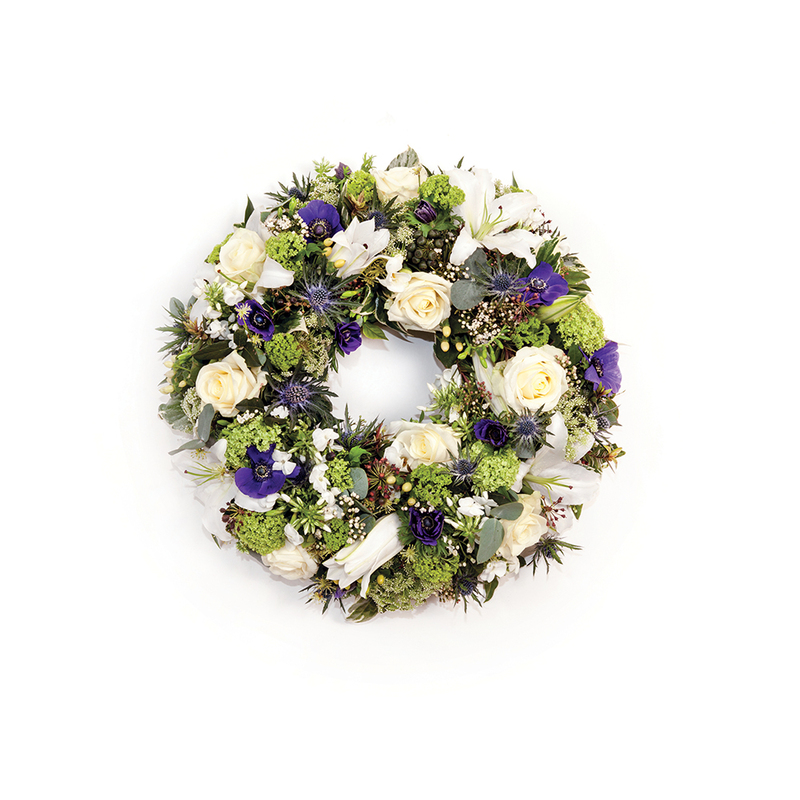 The wreath is only suitable to be placed on a flat surface. 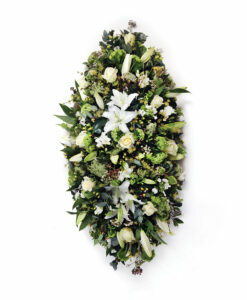 A stand or a biodegradable base for an eco-funeral is available on request at a small surcharge.